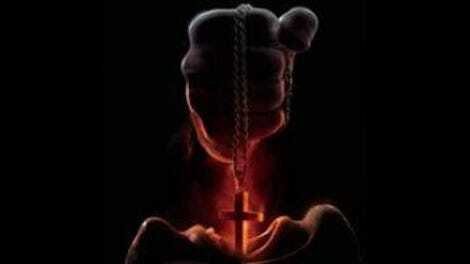 Incarnate is a comic-book movie in search of a comic book. Perhaps there, in the newsprint-scented safety of those tri-color panels, its cartoon characterizations, hilariously blunt expository dialogue, and broad leaps of logic would find an appreciative audience, accustomed to prioritizing badassery over all. (Not to mention that a superhero comic-style deus ex machina climax would have been preferable to the ploddingly telegraphed ending seen here.) As it is, the film is based on an original script by Ronnie Christensen, writer of the Halle Berry shark-attack flop Dark Tide; like that film, Incarnate was quietly deposited in theaters with almost no fanfare, save for a very silly trailer and a handful of web ads. 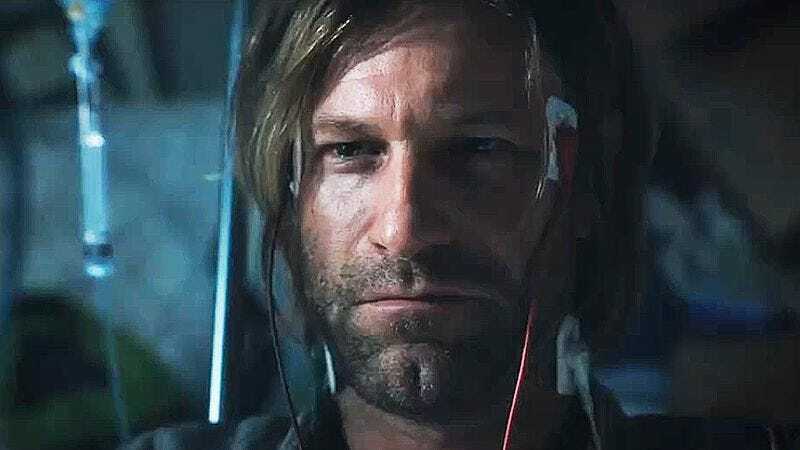 Aaron Eckhart stars as Dr. Seth Ember, a scruffy hybrid of a Constantine-style demon hunter, one of the “extractors” from Inception, and a Dr. Gregory House-style prickly genius. The edgy crime procedural vibe is further enhanced by his punky sidekicks, who stand behind monitors and watch with bated breath as their boss plumbs the depths of possession victims’ minds and who explain away the pseudoscience of their operation with absurd techie similes. (The existence of the human soul is compared to wifi, with “each of us giving off signals.”) Whether or not Ember is a superhero is up for debate—he casually mentions the awakening of his “powers” at age 26—but he certainly acts like one, brooding behind his long hair while slumped over in his wheelchair and speaking in a gravelly growl borrowed from Eckhart’s Dark Knight costar Christian Bale. About that wheelchair thing: Ember is engaged in a cosmic struggle with a demon named “Maggie” (why that name, of all names, remains unclear) who targeted him for destruction when he awakened to his destiny as an “incarnate” and who killed his family in a head-on collision that left him paralyzed shortly thereafter. An “incarnate,” for the uninitiated, is a person who has the ability to enter the subconscious mind of another; these “incarnates” are united in a loose network, primarily using their powers to free the possessed of their demonic mind-chains. It’s sort of a superpower and sort of a science (there certainly is a lot of equipment involved), and the Catholic Church supervises it all, sending representatives like the one played by Catalina Sandino Moreno to dole out assignments. The process of exorcism—or “eviction,” as the stubbornly nondenominational Ember calls it—plays out on screen with elements of The Exorcist II, Inception, The Matrix, and Insidious, as Ember confronts the possessed from inside their subconscious, informing them that, unfortunately, they’re not living out their most dearly held fantasy. It’s all a dream, conjured up by a demon who’s currently making the rest of them do horrible things, and if they want to live, they’ve got to come with Ember, or else. This time around, Ember and his team have been tasked with saving 11-year-old Cameron (Gotham’s David Mazouz), whose soul was seized by the infamous Maggie after a homeless woman with one of those latex scar patches on her cheek somehow leaped into the fourth-floor (or maybe fifth? It’s high up, anyway) window of his apartment late one night. Conventional exorcists have failed to help the boy, so now it’s time to call in Doctor Batman. Meanwhile, his single mother, a woefully underused Carice Van Houten, waits in the other room in her sweatpants, her eyes occasionally welling up with tears. Cameron’s mother is trying to protect her son from his abusive father, who repeatedly attempts to contact the boy throughout the film. Will Maggie use this to her advantage? Of course she will. Oh, and Ember’s mentor has a bunch of black-market ivory and a stuffed leopard in his holy command center, all of which was apparently furnished by the Vatican. We don’t know what that means either.